Cross River University of Technology, CRUTECH is now selling forms for its Post UTME and Direct Entry screening exercise for the 2018/2019 academic session. CRUTECH post UTME form (SECOND CHOICE) is now available online. Choose CRUTECH as their First Choice but missed the First Screening or were not admitted in the first choice. Did not choose CRUTECH at all but are interested in Cross River University of Technology and score 150 and above in the 2018 UTME Examination. 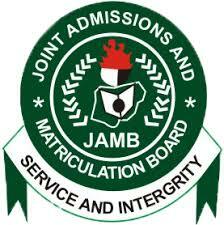 Candidates who fall under numbers (2) and (3) above are required to go to JAMB website and change to CRUTECH as their First Choice Institution. Available Courses for CRUTECH Supplementary Post UTME. The following courses are available for second choice. How to Apply for CRUTECH 2nd Choice Post UTME. The screening will commence on Monday, 26th November and ends on Friday, 14th December, 2018. Help Lines: 07062048282; 08151118002; 08066462239; 08189351784.